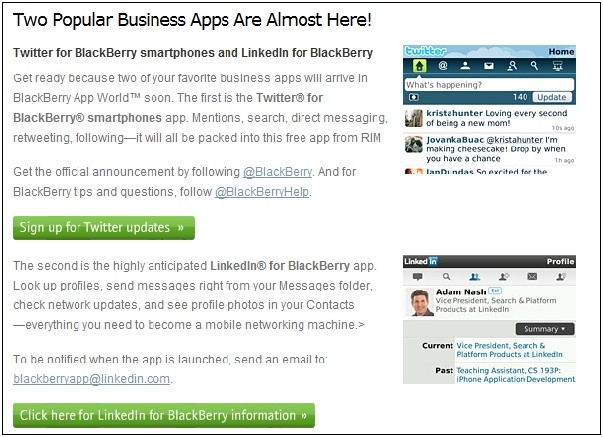 RIM has said “Get ready” because “two Popular Business Apps Are Almost Here!”. They are speaking about Twitter for BlackBerry and also LinkedIn for BlackBerry. No word on when these will be officially dropping into the App World but it’s being communicated on the BlackBerry newsletter.